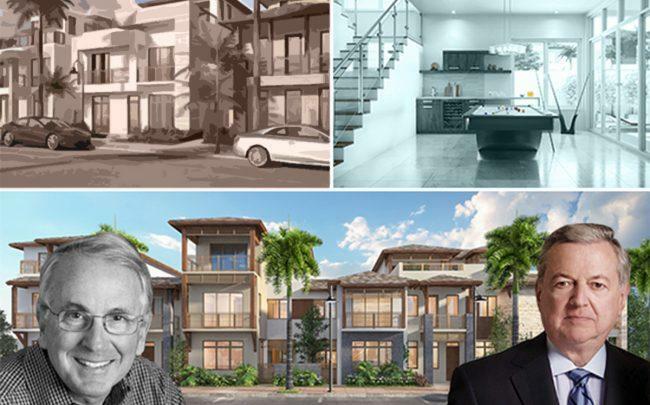 Capitalizing on the surge of Northeasterners fleeing high-tax states, CC Homes is seeking registration to sell Canarias at Downtown Doral in New York and New Jersey, The Real Deal has learned. Jim Carr, who is developing the luxury home and townhome community with partner Armando Codina, said the developers have already seen an influx of buyers from those states, as well as from the Washington, D.C. area and California — though they have not marketed there. “We want to be more aggressive with our marketing,” Carr said. “We think a lot of people want to relocate.” CC Homes has already received approval in New Jersey. For more than a year, since President Trump’s tax reform took effect, developers and brokers have seen rising demand for luxury properties from residents of high-tax states who are lured by Florida’s lack of a state income tax. Even before the changes in tax law, many South Florida condo developers registered their projects in New York to capture that market, including 1 Hotel & Homes in Miami Beach, Turnberry Ocean Club in Sunny Isles Beach and Four Seasons Hotel & Private Residences in Fort Lauderdale. But it is far more unusual for a single-family housing community to seek approval from New York’s Real Estate Finance Bureau. In the past four years, only three other South Florida developments have sought approval: GL Homes for its Boca Bridges in Delray Beach and Valencia Bay in Boynton Beach, and Hovnanian for its Four Seasons at Parkland. Built on the 130-acre former White Course in Doral, Canarias, at 8333 Northwest 53rd Street, is the single-family portion of Downtown Doral, with 343 houses and 52 townhomes. Sales launched in 2017, and so far, about 120 homes have sold and about 40 families have moved in, Carr said. Homes range from 1,800 square feet to 5,000 square feet, and are priced from the upper $500,000s to more than $1.5 million, he said. Amenities include a 40,000-square-foot clubhouse featuring a pool, cabanas, tiki bar and fitness center. As a next step, Codina and Carr will be marketing Canarias in the Washington, D.C, area in May, where registration is not required, and in New York and New Jersey.